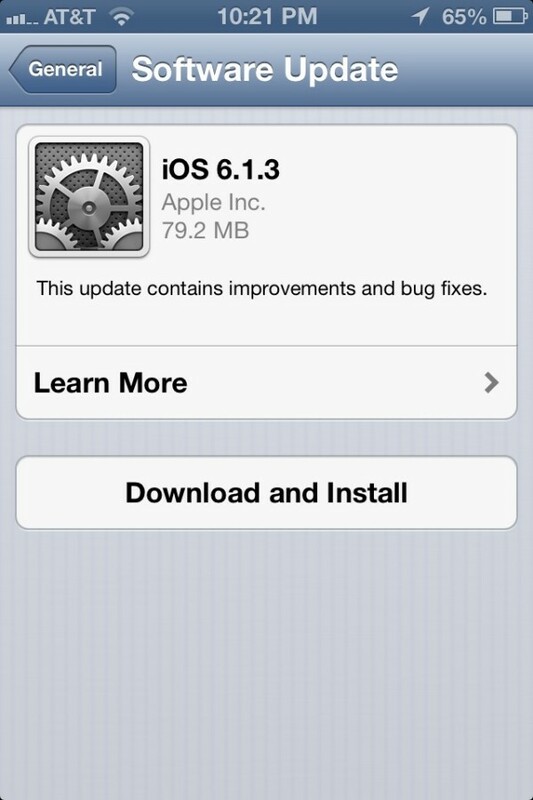 Apple releases iOS 6.1.3 update, Jailbreakers stay away! 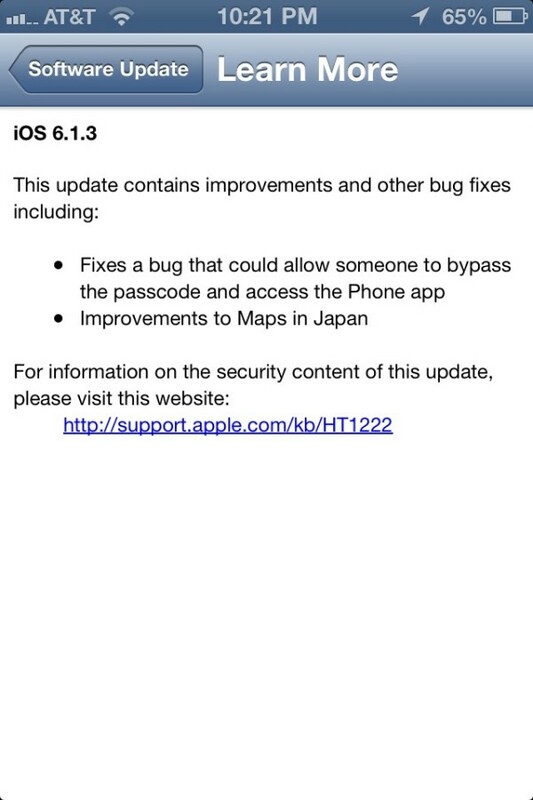 This afternoon Apple released iOS 6.1.3 software update, addressing “improvements” and my personal favorite–“bug fixes.” To be more specific, this over the air update is available to all iOS users and contains Apple Map updates for iPhone users in Japan. In addition, the update patches the lock-screen bypass bug that first showed up last month. To start your download go to the settings–> General–> software update–> on your iOS device. This isn’t a very large download weighing in at only 79.2 MB. Apple has also included security information with this update that can be viewed here.